Do you have widely spaced, crooked, or crowded teeth? Have you postponed orthodontic treatment because you don’t want to wear metal braces? Think you don’t have choices? Think again! 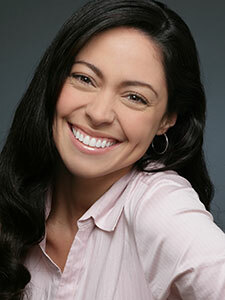 Dr. Kalarickal offers Invisalign clear braces to reposition teeth into attractive, confidence-boosting smiles. Instead of metal, Invisalign treatment involves wearing a series of clear, acrylic aligners. The aligners fit snugly, yet comfortably, and exert gentle pressure to move teeth. Our Invisalign patients like the unobtrusive appearance of their clear braces, and they enjoy the freedom to remove the aligners when they want to brush, floss, and eat. To get started, Dr. Kalarickal will use advanced technology to create 3D images of your teeth and jaw. We’ll send this information to a certified Invisalign lab, where your aligners will be crafted specifically to meet your smile goals. During Invisalign treatment, patients insert a new pair of aligners every two weeks until treatment is complete. We’ll keep tabs on your progress when you visit our Wesley Chapel dental office – about every 8 to 10 weeks. Treatment time with Invisalign typically lasts 6 to 15 months. You could be one of the many Invisalign patients who complete treatment in less than a year.